In our series Our Movement Monday, we talk with Texas Democrats across our state about their work and the challenges facing their communities. Mary Ibarra is a Texas native from the Rio Grande Valley. 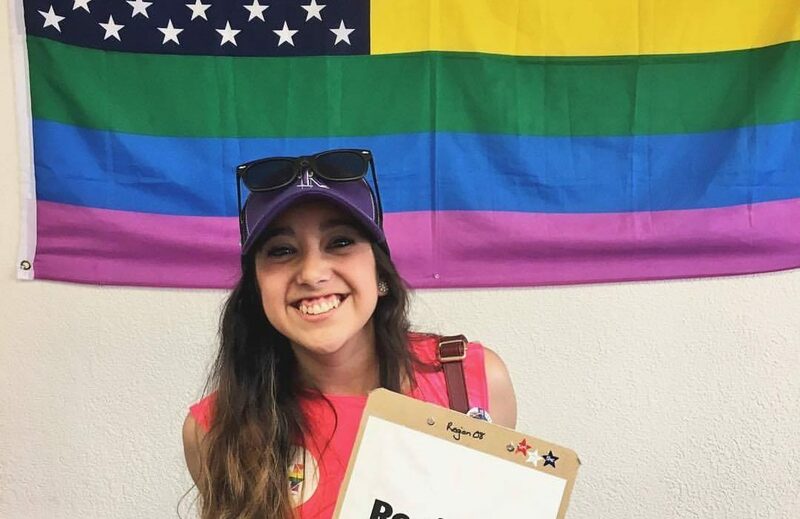 A former Texas Democratic Party staffer, she has organized for Democratic campaigns in Texas, Nevada, Colorado, and Georgia. She’s also served as a congressional aide for Congressman Lloyd Doggett. Before joining Swing Left as their Central Field Director, she managed field programs and partnerships in Texas for the national nonprofit, Voto Latino. Thank you for taking time to chat with us Mary. You’re an organizer for Swing Left, a grassroots organization that helps folks find and commit to supporting progressives in their closest “swing” district so that we take back the United States House of Representatives in 2018. Why the House? Mary Ibarra: The U.S. House is the first check on the administration. Every United States Representative is up for reelection in 2018, but midterms historically have low turnout. Since Trump’s inauguration, we’ve seen how important each branch of government is. The House is the key to ensuring that the Republican legislative agenda grinds to a halt. How many congressional districts is Swing Left organizing in across the country? Mary Ibarra: We’re organizing in 78 swing districts across the country. If we hold all of the Democratic-held seats and flip and additional 23 districts we take the House. How many congressional districts in Texas is Swing Left organizing in? As you mentioned Texas has three swing congressional districts with two strong female candidates running, Gina Ortiz Jones and Lizzie Fletcher. Why is it so important that we continue to elect and encourage more women to run? Now more than ever, we need every single person to get involved. How is Swing Left channeling the grassroots energy that has grown over the last two years? Mary Ibarra: We’re committed to making getting involved as easy as possible. When we launched early last year, it was about finding people in your community that also were interested in taking back the House and setting up those next steps. We know that face-to-face conversations are the most effective way to increase turnout and anyone can do it, whether you’re a political novice or political pro. 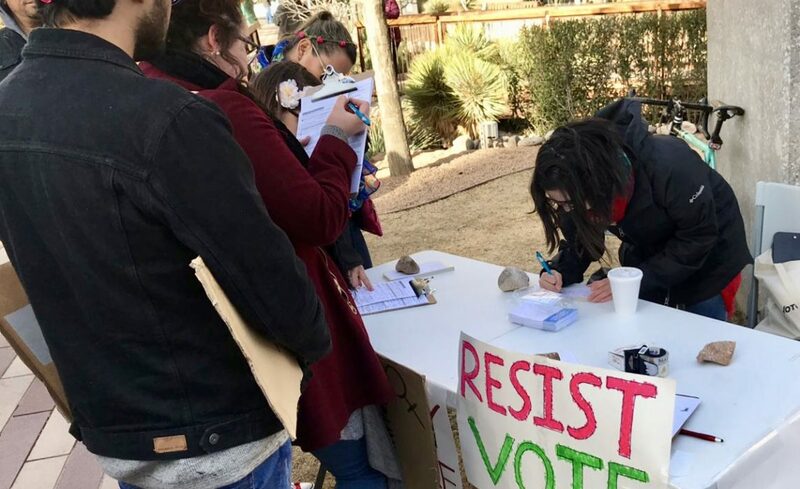 We give volunteers all of the tools and the resources they need to take action, including Swing Left Academy, a training program covering the basics of organizing for political campaigns. How can the folks who live in our Texas swing districts take action? Mary Ibarra: Attend or host an event! We’ll help connect you to active groups that regularly meet or you can start a Swing Left group yourself. All of our Texas candidates have even started putting their events on our district calendars. For those who don’t live in these districts, Swing Left is connecting them with opportunities to support swing districts nearest them. How does it work? Mary Ibarra: Most of our volunteers don’t live directly in a swing district, but we encourage them to donate directly to races near them, host a fundraiser, or organize a weekend carpool to knock on doors and speak to voters directly. There are a lot of ways to get involved even if you don’t live right in the thick of the action.